When these first words of the Shepherds Play fall around me like a mantle I find myself exhaling, a long, deep exhalation and a sense of peace and gratitude comes over me. For these words are the beacons in my year which indicate the rhythm that another year starts to draw to a close and these words remind me that all is well. We have journeyed through another cycle, and I am able to enjoy the Shepherds play once again. I thank the teachers for keeping this wonderful storytelling rhythm very much alive and well at the Stellenbosch Waldorf School. 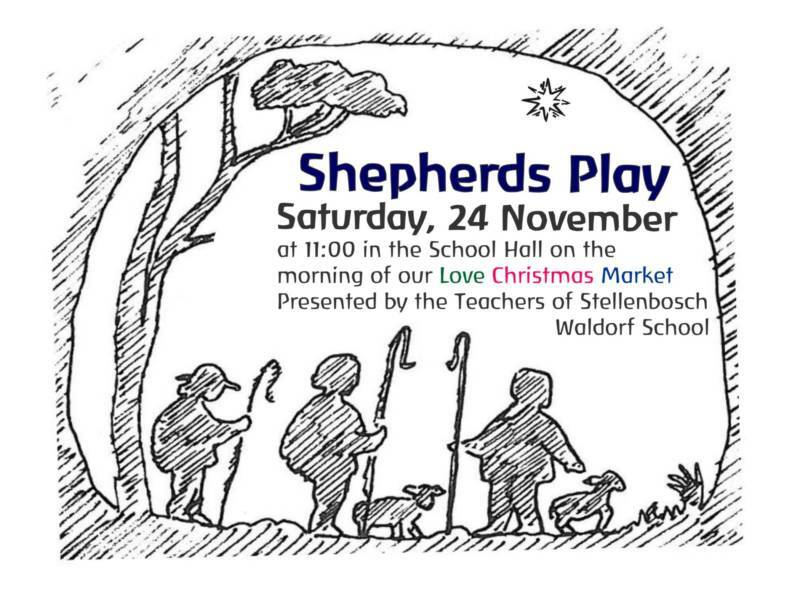 This undiluted medieval story of the Christmas night, seen largely through the eyes of three rather unruly, knockabout shepherds, with a cast which includes Joseph and Mary, the shepherds, of course, a variety of unhelpful innkeepers, an angel and the truly medieval star-singer who does the introductions and closing speech. The script is true to the spirit of the oral tradition rediscovered in Oberufer (a village on an island in the Danube River) where the play has been performed for centuries.